Micarta Handle. Set includes: Barbecue Knife No 1 (11 3/4" blade), Chefs No 1 Knife (7 3/4" blade) and Fillet Knife No 1 (6 3/4"). 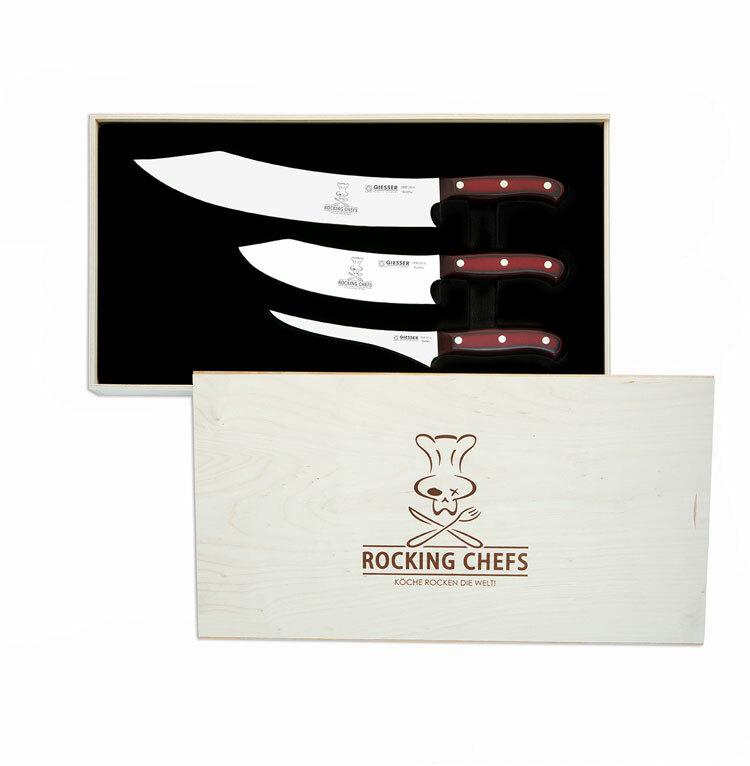 Rocking Chefs are tough guys with a soft core: Micarta handle, a natural material. Every handle is unique and makes you the real hero of the kitchen. “Rocking Chef“ Ralf Jakumeit would go through fire for his absolute favorite!